Adding to the excitement, each year the completed mosaic will be printed on a limited edition Cheerios box and shipped to stores. 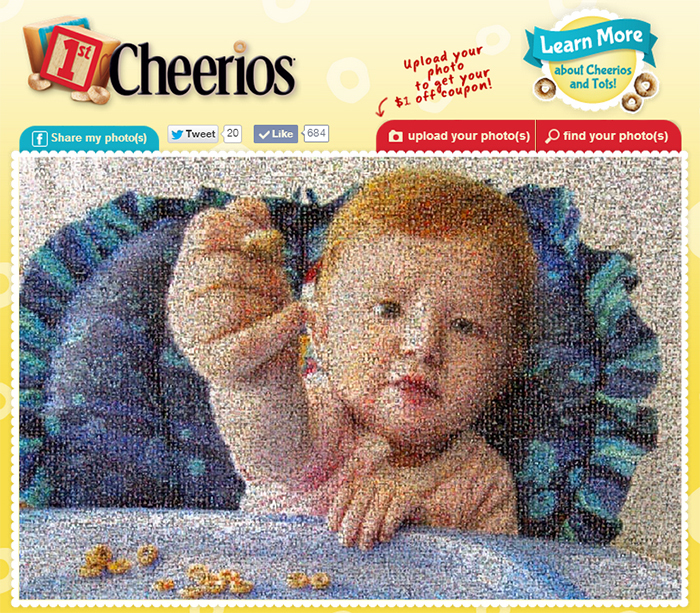 Kicking off their third consecutive year, keep an eye out for next year’s Cheerios mosaic box! *At the request of the client, searching, zooming, and clicking of photos has been disabled. Nevertheless, users are able to locate their photos with a “Find my photos” button.